NEW! On 10th July 2008, Danny was in the local paper for winning a local maths competition against children four years older. He was on the front page and page 9. NEWish! A photo of the boys taken at the end of 2003. 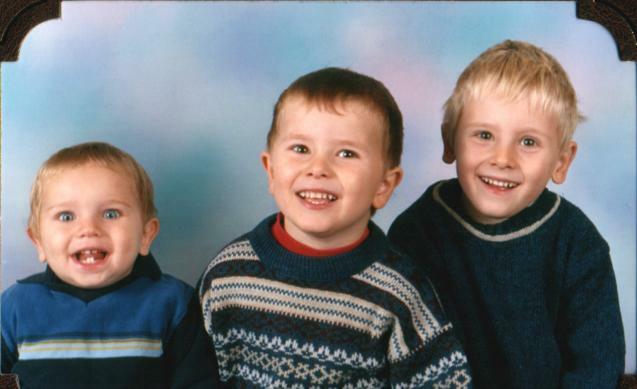 From left to right: Jonno (about sixteen months), Matthew (nearly four) and Danny (Coming up six). Somewhat NEW! Photos of what was until the end of October 2003 the Index Data UK office, tucked away in a half-converted walk-in wardrobe at the top of our house, and sharing the space with the Pipedreaming studio. Not really NEW any more! Photo of all three of our boys, with their cousins. Then there's my infeasibly gorgeous wife Fiona. 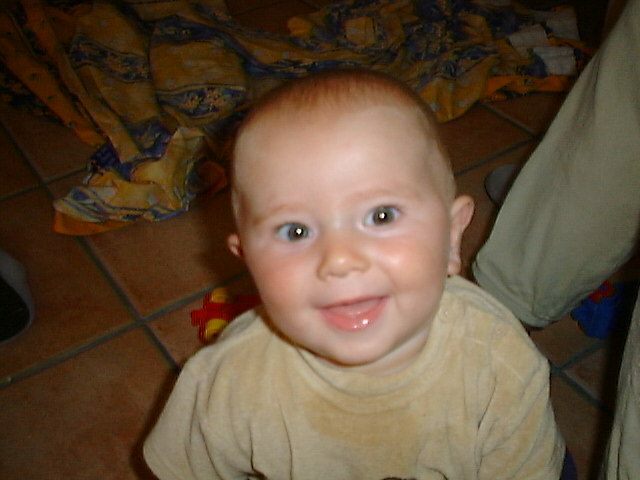 Then again, it might be what you really want is to see our son Danny's Baby Photos, taken when he was about four months old. Here is a gallery of slightly more up to date photos of Danny, these ones taken in October 1999, when he was about eighteen months; and here is a gallery of a leopard in la Zoo de la Fleche (Loire Valley), where we took the boys this autumn. He really, really, wanted to eat them. Finally, here are some more family photos.